Susannah-Penelope Rosse was the daughter of the miniaturist, Richard Gibson, and George Vertue records that 'her first manner she learnt of her father, but being inamour'd with Cooper's limnings, she studied & copy'd them to perfection'. Although she produced many copies of miniatures by Samuel Cooper, she also became a highly competent miniaturist in her own right at the late Stuart court, developing an important clientele, and even, on at least one occasion in 1682, sharing a sitting with Sir Godfrey Kneller. The present miniature is an example of her exceptionally diminutive work, and can be compared with both signed (P38-1919) and unsigned (P21-1955) examples on this scale in the Victoria and Albert Museum, London. 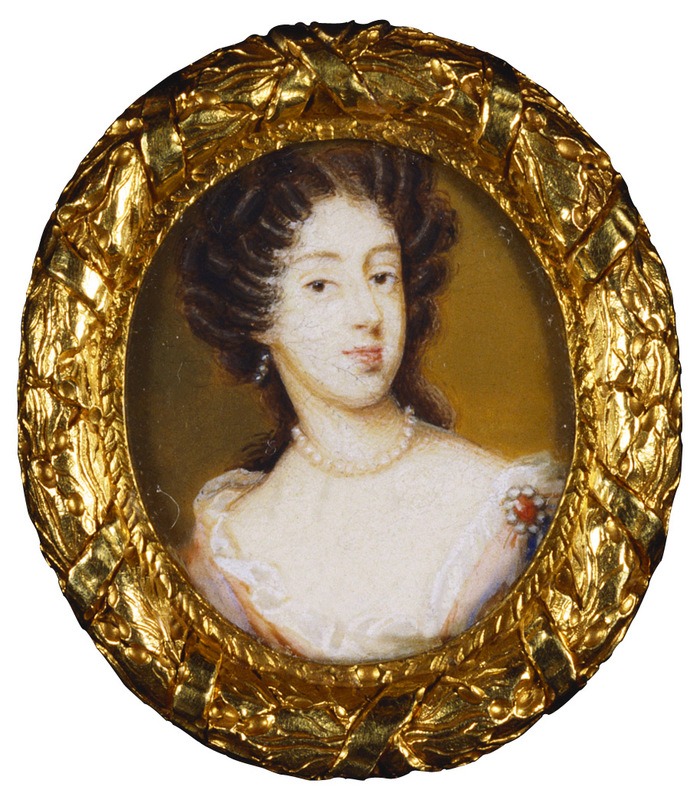 It is possible that it is the miniature of Mary of Modena recorded in the inventory of James II as 'The present Queen, a limning'.